What I Wore to the Wedding- Follow Up Post! Earlier this week, I asked for help choosing an outfit. I don’t consider myself to be too great at putting clothes together, and I wanted to look nice for E’s wedding. Not helping my dilemma was the fact that my husband can’t stand my favorite dress. 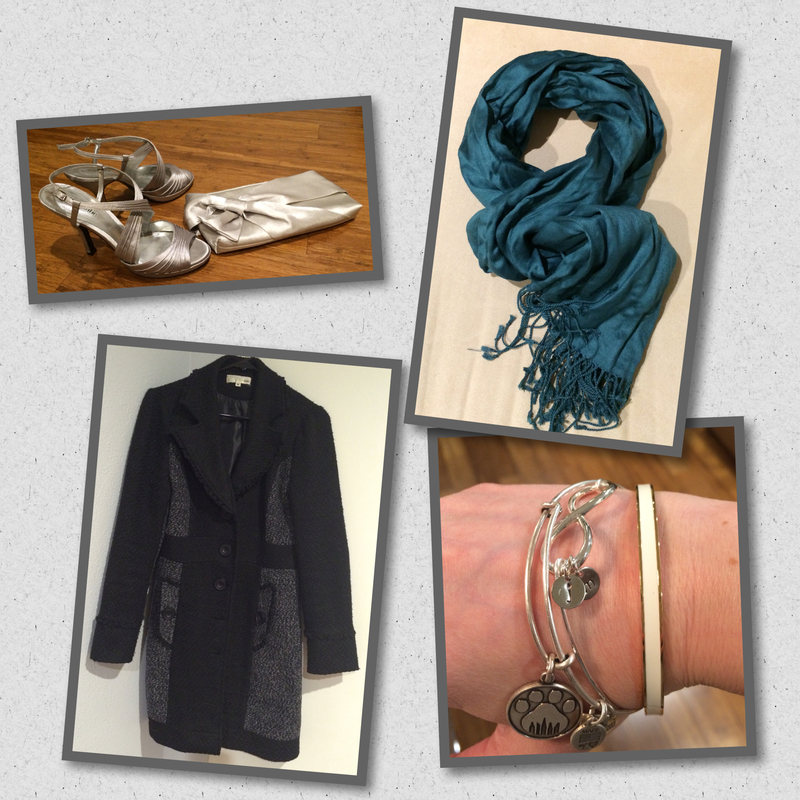 I received several comments about how cute a silver wrap would look with my black and white dress. I didn’t want to buy one (in my quest for minimalism, it seemed silly to buy something I would use once). I loved the idea though, so I decided to go with a brightly colored wrap instead of my original plan of a bright green cardigan. By the way, everything on Modcloth (affiliate link) is 15% off from now until Monday, 1/26 at 1:00 p.m. ET, 10:00 a.m. PT. Just use the coupon code: GOOGLY. I just ordered a box of stuff from them, so this is bad news for me 😉 I may have to buy more. E’s wedding was so pretty. I helped make some of the decorations, so it’s possible I am biased. However, how can you argue with cool props like this? I just love weddings. I try to be tough and play it cool, but I am super romantic on the inside. J and I are both sick, so we left super early. I’m sad that we missed most of the fun. E was certainly the perfect, fairy tale bride! What’s your perfect wedding guest outfit? This was my first time wearing a fluffy slip peaking out of a dress, and I thought it was super fun. Also, where do you stand on gifts? I have only recently figured out that many people prefer to get gifts sent ahead of time. I think this is the best solution ever. I don’t have to lug around the gift when I’m walking in heels, they don’t have as much to watch and load up, they can send thank you cards as gifts come in instead of all at once. I think everyone wins, but I might be alone in this belief. Walking in without a gift was kind of awkward, so there’s that to consider. 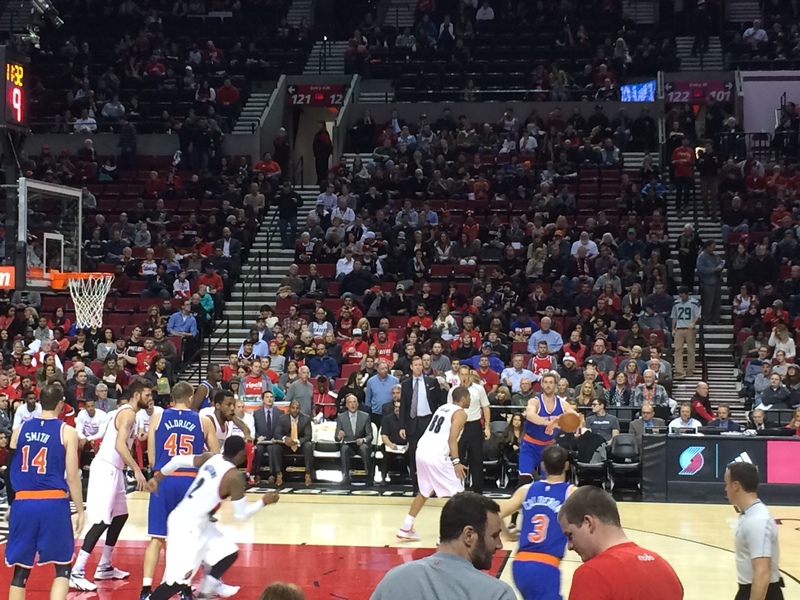 Last night, two friends, J and I went to see the Portland Trailblazers beat the Knicks (79-101). 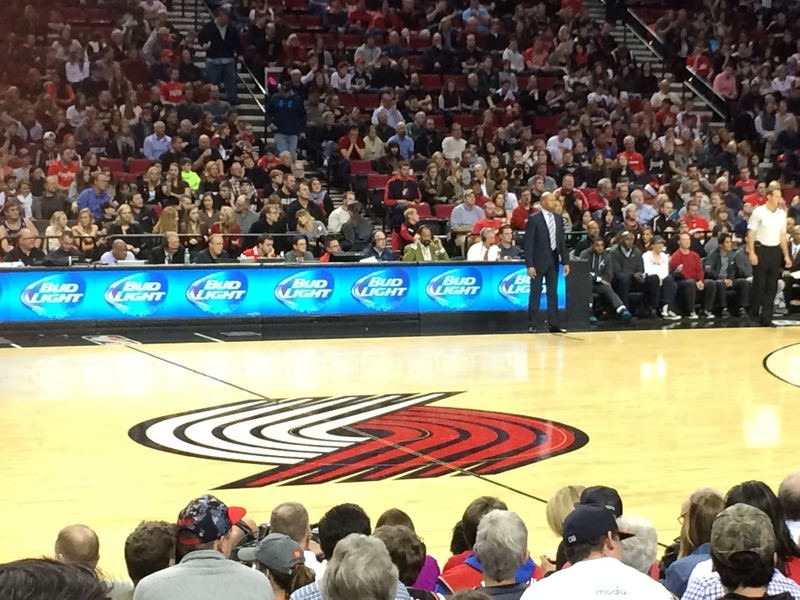 One sweet perk of my executive assistant job is that I occasionally get to use my boss’ season tickets to see the Blazers. I am much more of a football fan, but I think most sports are really fun live. They are even more fun when you get free seats, and sweet ones at that! My favorite player is Lopez, so I was really disappointed when he got hurt. 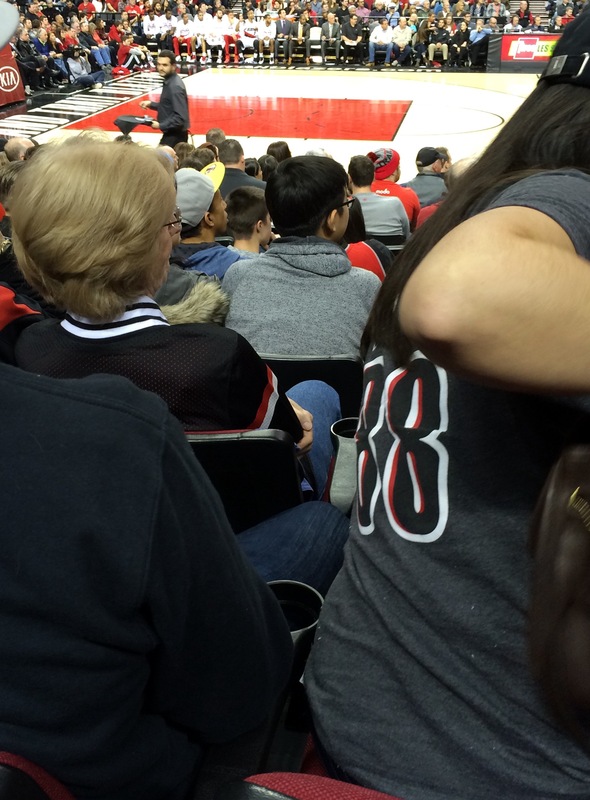 I knew I wouldn’t be able to see him last night, and then Aldridge was out too. 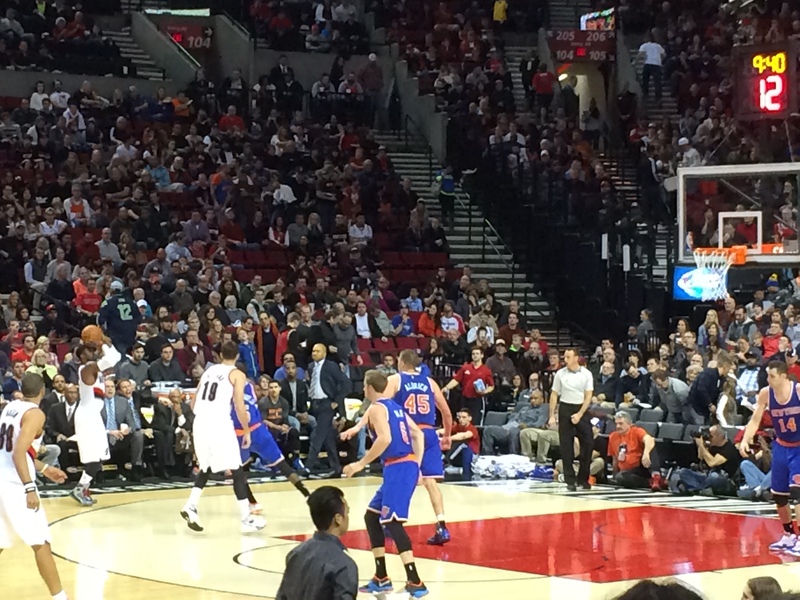 That was a bummer, but Matthews and Freeland were looking great out there! There are a few shots of Matthews below. Being a huge animal and mascot freak (and over exuberant in general), I was super excited when Blaze, the “Trail Cat”, came up our row. I embarrassed J by yelling “hi Trail Cat!”. I didn’t realize how loud I was, but the mascot turned around, pointed at me, waved, and blew a kiss. I’m not even ashamed to say that I was super excited. We sat in section 113, row F, and my seat is 2. This is the view from my seat, if anyone has similar tickets and wants to check it out. 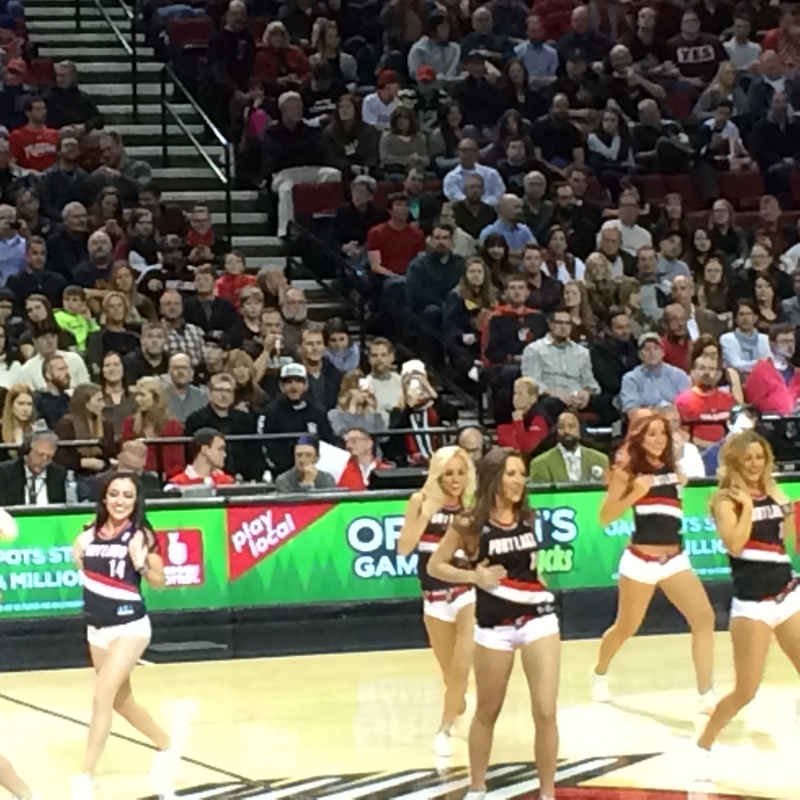 I don’t know how those Blazer dancers keep their bodies looking like that, but I will say I am super envious. I’m getting inspired for my new lifestyle (this is what I’m trying to go with instead of diet- seems more likely to work). I will post more about my new life plan soon!